There are many myths, religions and beliefs related to God that are prevalent in our society. Based on them, there are temples, churches, mosques and many such places, where one can feel the divinity of God. Still, knowing and understanding God remains a mystery. Both believers and non-believers have a question about God's existence, shape, form, etc. Even if there exists a form, how can one perceive it? No one has seen nor understood his real form. But faith in God is purely blind. The reason is that everyone believes that there is an omnipotent and omnipresent power, which is ruling the world. People have different concepts of God; according to me, where all those concepts of God meet, the real God manifests. Whenever I need motivation, a helping hand or guidance, I take recourse to God and my concept of God has manifested in various occasion/situations in my life. These manifestations have helped me in my life to become successful and have changed me from a common man to an uncommon with multiple talents and all that I have ever longed for. In this book, I wish to share my experiences and my realization of those manifestations. 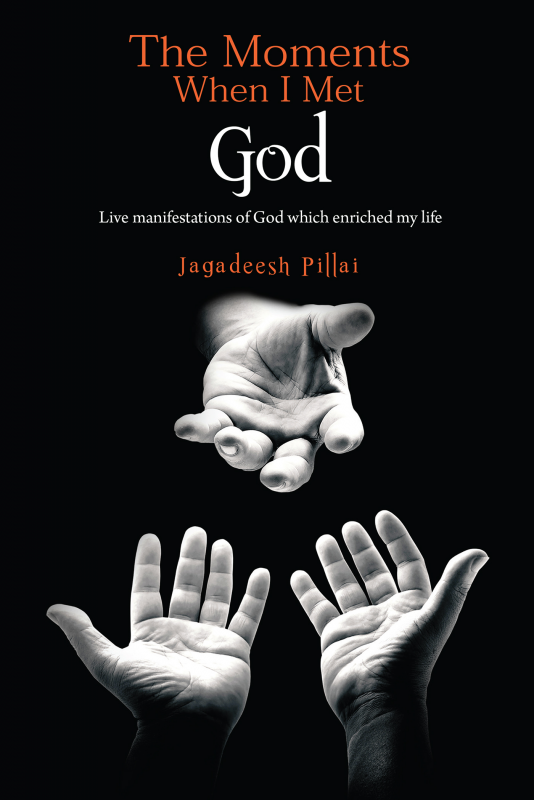 Jagadeesh Pillai a voracious reader, writer and a true research scholar was born in Varanasi, the abode of Lord Shiva. He is a multi-faceted polymath with innate qualities, creative ideas and many remarkable achievements. He has added so many feathers to his cap which make him quite unique. He is a Guinness Book of World Record Holder for producing and directing a state of art animation film within the shortest time breaking record of a Canadian. There are many National and International Awards and recognitions to his credit. It is hard to believe that he has produced and directed more than 100 Documentaries on a particular city (Varanasi), all executed single-handedly. A multifaceted person who can apply the best of his calibre and acumen using his inborn talents which have been showered upon every human being granting them an immense capacity to learn, experience and experiment many things and do wonders in this world of discrimination and disparities. He is a teacher and a student at the same time who always learns and teaches every day. He is a selfless social activist and a motivational speaker too.